The question “where did Allah come from?” is no doubt a question that commonly comes into the minds of non-Muslims. And I as a Muslim have to answer it in a manner that someone is asking me and from a Muslims perspective. We Muslim believe, as communicated to us my Allah in his book the Quran, Allah tells us that He is the creator of everything and that he is the sustainer/maintainer of all that exists and that nothing and no one shares this trait along with him. He tells us that he is not created, nor is he like his creation in anyway. By definition, God has no creator, otherwise he would not be god (Allah). He'd be a creation and then we'd have to seek the one higher than him. Without me going too sci-fi here, understand that God himself created the concept of time. He created the concept of a beginning and an end... and once creating this concept of time etc. Everything he created, he assigned it a beginning and an end. Because we are his creation and we see everything bound by time, we automatically assume this rule must apply to God himself too but that is not true as He is not like His creation, nor similar to it, in any way. If we do not agree and pacify ourselves with the above answer, we'd end up in an endless loop or who created who and then who created him etc so fourth. There would be no end... For this matter I advise everyone reading to be good to your fellow mankind, especially your parents and the weaker ones in society and hopefully you can please God and thus one day reach heaven. Once there you can pose this question to him directly. Surat al ikhlas address this. 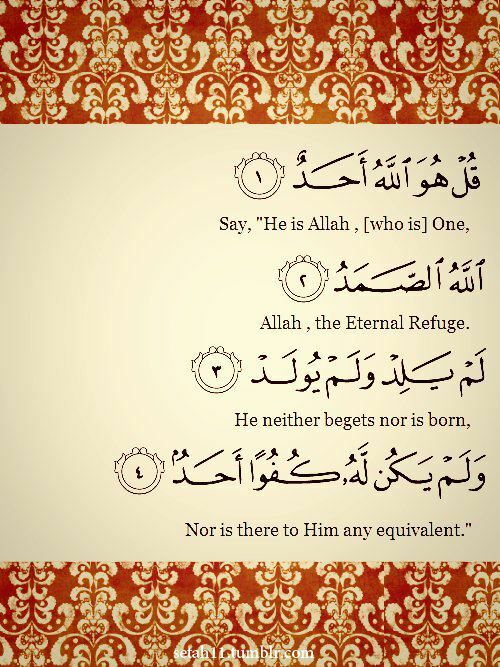 Where Allah says "He neither begets nor is born"